On January 10th, Nick’s wife is scheduled for a 9:00 a.m. C-section. Why I, the nuttier-than-a-fruitcake recently widowed childless auntie, has been asked to attend the birth, I’m not sure. Perhaps it has something to do with my refusal to tell people how I’m really feeling. And still not having grasped the concept of saying no, off I go. At 9:30, a baby girl with the middle name of Hope arrives. When she’s shown to me, I shiver. “You’re being held by Sam,” the baby’s maternal grandmother says to me. From A Widow’s Awakening, by Maryanne Pope – page 205-206. I’m cheating this week, because I’m so tired of ads hawking everything from the best cigar deals to new cars that come with free iPads right out of the box. While I’m not particularly religious, I do think the commercialism of Christmas is way overdone. It’s exhausting, and somewhat repulsive. 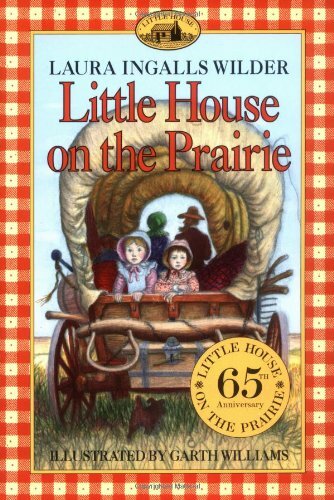 It was with intention, then, that I pulled from my shelves earlier today, a couple of the “Little House” books by Laura Ingalls Wilder. This excerpt, then, is from the chapter entitled “Mr. Edwards Meets Santa Claus,” from the book Little House on the Prairie, because I’m feeling wistful for a time when something as simple as a cup of your very own meant you had an incredible Christmas. It’s a bit longer than teasers are meant to be, but it’s important to me to share it. Something was shining bright in the top of Laura’s stocking. She squealed and jumped out of bed. So Did Mary, but Laura beat her to the fireplace. And the shining thing was a glittering new tin cup. Mary had one exactly like it. Then they plunged their hands into the stockings again. And they pulled out two long, long, sticks of candy. It was peppermint candy, striped red and white. They looked and looked at that beautiful candy, and Laura licked her stick, just one lick. But Mary was not so greedy. She didn’t even take one lick of her stick. Those stockings weren’t empty yet. Mary and Laura pulled out two small packages. They unwrapped them, and each found a little heart-shaped cake. Over their delicate brown tops was sprinkled white sugar. The sparkling grains lay like tiny drifts of snow. The cakes were too pretty to eat. Mary and Laura just looked at them. But at last Laura turned hers over, and she nibbled a tiny nibble from underneath, where it wouldn’t show. And the inside of that little cake was white! Laura and Mary never would have looked in their stockings again. The cups and the cakes and the candy were almost too much. They were too happy to speak. But Ma asked if they were sure the stockings were empty. Then they put their arms down inside them, to make sure. They had never even thought of such a thing as having a penny. Think of having a whole penny for your very own. Think of having a cup and a cake and a stick of candy and a penny. If this was something I planned to submit to directories of book reviews, I’d have to confess that my “current read” really isn’t a book, but a 23-page long short story. But it’s a famous short story, and one most of us never read any more, learning the legend only from movies. Nothing against Johnny Depp’s performance – I own Sleepy Holloy on BluRay, after all, the original is better, moodier, darker, and, well, authentic. The dominant spirit, however, that haunts this enchanted region, and seems to be commander-in-chief of all the powers of the air, is the apparition of a figure on horseback without a head. It is said by some to be the ghost of a Hessian trooper, whose head had been carried away by a cannon-ball, in some nameless battle during the revolutionary war; and who is ever and anon seen by the country folk hurrying along in the gloom of night, as if on the wings of the wind. His haunts are not confined to the valley, but extend at times to the adjacent roads, and especially to the vicinity of a church at no great distance. Indeed, certain of the most authentic historians of those parts, who have been careful in collecting and collating the floating facts concerning this spectre, allege that the body of the trooper, having been buried in the church-yard, the ghost rides forth to the scene of battle in nightly quest of his head; and that the rushing speed with which he sometimes passes along the Hollow, like a midnight blast, is owing to his being belated, and in a hurry to get back to the church-yard before daybreak. I should add: this is the piece I gave the young man I tutor in English for his assignment this week. He loved it. And you will too, I’m sure. Sometimes the most effective diet pill isn’t a pill at all, but a bloody scene involving dead meat and sharp knives. I received Julie Powell’s second book on Tuesday (and why, pray tell, is Amazon suddenly using Velocity Express and requiring signatures?) afternoon, and couldn’t resist peeking at it, even though I have other books in progress, because I loved Julia and Julia, when I originally read it just after it came out in hardcover. So I’ve told you a little bit about seams, those networks of filament that both connect muscles and define the boundary between them. Now, the difficulty is that seams can be thick, or they can be thin. The seam of a tenderloin, for instance, is very thin indeed, and therefore hard to follow. It’s easy to lose your way, which is apt to make you nervous, seeing as how the tenderloin is the single most expensive cut of meat on the steer, thirty-nine bucks a pound at Fleisher’s. If you lose the seam in one direction you waste tenderloin, and there’s only something like eight pounds of it per animal. If you lose it in the other direction, especially right at the head of the muscle, what’s called the “chateaubriand,” you cut into the eye of the sirloin, another expensive cut, and one that short-tempered chefs won’t buy mangled. Beginning butchers, needless to say, don’t get assigned to pull out many tenderloins. It’s great fun for me, then, when an author contacts me directly, as did Commander Pants. I’m woefully behind on my reading, having had a weird and insanely busy November, but I am about to FINALLY crack open Whom God Would Destroy. He walked out of the stall and continued on to the other side of the room. Beyond the last stall there was a matching corridor ending with a matching door; a twin to the way he had entered, except this door was closed. Confident of what was on the other side, he walked down the hall and opened it. He wasn’t disappointed. There it sat in all it’s glory: the missing McDonald’s kitchen from South Bend, Indiana, just as Doc had told Oliver. It appeared to be closed; the oil sat cold in the fryolators and the microwaves weren’t microwaving.